As a pet professional I frequently get asked about what I feed my dog or for recommendations on pet food brands. Everyone has two things in mind when deciding on what food to purchase: quality of food and price. But not everyone knows what makes a quality food. When I begin training with a new client, I often ask what kind of food they’re feeding their dog. Sometimes my clients look a little bewildered as to why I would even ask. The reason is because food not only has huge implications on health, skin, and odor but on the mental function and energy level of our pets as well. Think about this – how do you feel after eating a big, greasy burger from a fast food joint? On the other hand, how do you feel after eating a balanced meal of vegetables and lean protein? While that greasy burger may taste fantastic going down, an hour later you may feel sluggish and ready for a nap, or have trouble concentrating on what you’re working on. The same thing happens to our pets! Feeding a low-quality food with little nutritional value is the equivalent of you eating pizza, burritos and fast food for every meal. Don’t think there is a problem in the pet industry? I encourage you to watch Pet Fooled on Netflix or visit websites like www.truthaboutpetfood.com. So how can you choose a good dog food? First, read the ingredients list. It’s often said that the first ingredient should be some sort of protein. While this is true, that’s just the beginning. The order of ingredients on a pet food label is determined before the cooking process. This means that once the food has gone through the cooking process, these percentages change. Typically, meat decreases in weight and volume after being cooked because it loses its water content. So look at the first five ingredients to be sure they are of higher quality. There are some ingredients that are deal breakers for me. If I see them on the label, I will immediately walk away. First is corn. Corn is a filler and has very little nutritional value. Another ingredient is any sort of by-product, or “slaughterhouse waste”. This is pretty much anything that is left over after the prime body parts have been taken. Think hooves, beaks, fur, feathers, etc. I also say no thank you to anything that is generically labeled animal: animal fats, animal by-product, or animal meal. This can be a mix of literally any kind of animal: beef, pork, poultry, roadkill, livestock not passed through a slaughter process, or even euthanized pets. Some people have no shame! The general use of the word “animal” also makes determining animal protein allergies difficult. Artificial colors or preservatives are also an unnecessary ingredient that can have harmful effects. Your dog doesn’t care what color their food is! Many brands of pet food boast about being grain-free. Let’s talk about the grain-free diet, which has pros and cons. 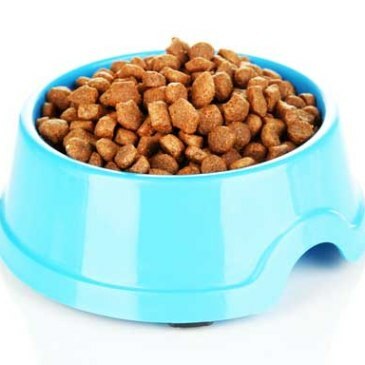 Grains were introduced into dog food as the industry’s way of giving consumers more volume for less money. Like corn, grain is a filler that doesn’t have much nutritional value. Some dogs even have grain allergies which may manifest in smelly or itchy skin and ears. Some say you should always feed a grain-free diet, regardless of the presence of an allergy or not. I chose to feed Sully a grain-free diet. However, some grain-free formulas may also be higher in carbohydrates as they substitute in more carb-rich ingredients like potatoes. The kind of protein you choose is also important as some dogs are allergic to certain kinds of protein. One thing to note about a chicken allergy – be sure to read through the entire ingredient list. Even if chicken is not listed as a protein, the food may contain egg or other egg products, which can also trigger the allergy. On the subject of protein, finding the right amount for your dog’s activity level and life stage is important in preventing weight gain, excessive pooping or diarrhea. Younger, unaltered or very active dogs may do better with a more-rich protein diet. The last thing to consider is how the food is made. Unfortunately, this is not something that is written on the bag. Foods that are cooked in smaller batches or slow-cooked are processed at a lower temperature, preserving more nutrients from the ingredients. Ingredients that are blasted with high heat lose key vitamins and minerals, resulting in a lower-quality food. While I admit that I am not a nutritional expert, please also keep in mind that your vet may not be either. Animal nutrition classes taught in veterinary school are often short with the curriculum being written and/or taught by representatives from big food corporation like Hills (Science Diet), Mars (Cesar’s, and yes, 3 Musketeer bars), and Purina. Furthermore, certain brands offer a compensation program to vets for sales from their clinic. A great, non-biased resource to check out is www.dogfoodadvisor.com. They rate various lines of food made by many brands based on their guaranteed analysis and ingredients. They even explain why certain ingredients are controversial. Now time for my shameless plug. I get asked often not only which are good brands, but also what I feed Sully. I have tried many of the top dog foods- Fromm, Orijen, even Answers raw and they are all great! I would still recommend any of these. But I currently feed Sully a food from Pet Wants. Within the first month, Sully’s coat got significantly softer – something I’ve never noticed with any other food. Pet Wants is a one-of-a-kind food company. Their food is made in a facility in Ohio but that’s where any similarities to other brands ends. Their food is made small-batch, monthly, and slow-cooked. The food then gets sent straight to Pet Wants stores while most other foods sit in warehouses and distribution centers for months where they can lose even more nutritional value. That means your pet is getting food that was made within the past few weeks, not months. And they don’t stop there! If a store location is unable to sell the food within 90 days of arrival it’s donated, even though the food is good up to a year! They also have other charitable actions where you can buy additional food to benefit the rescue or organization of the month. Pet Wants was created in 2010 and in 7 years has never had a recall. If that’s not enough to make you want to try it, maybe the FREE DELIVERY will be! 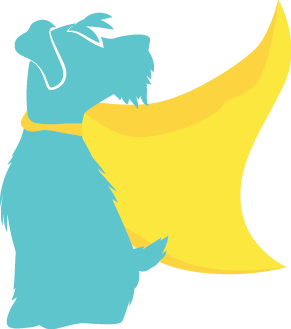 To find a location near you, visit http://petwants.com/location-finder. If you live in San Antonio, you’ve got to visit the store off 1604 and Tradesman. Say hi to Carlos and Gloria and their little Schnauzers, Charlie and Lucky, and get your free sample!